What is the TrulyRichClub.biz web site? 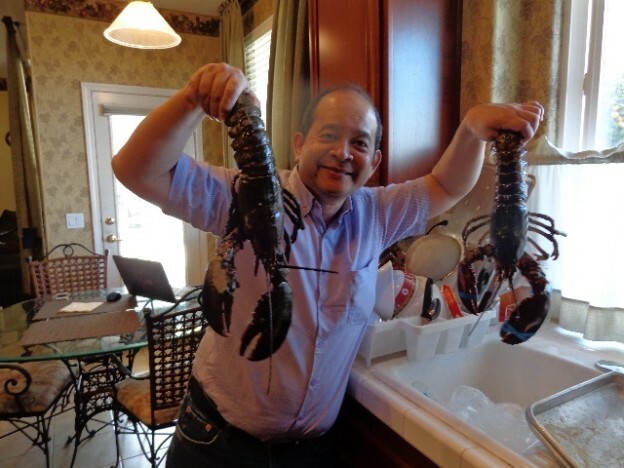 This is my (Bobet Prudente) personal finance web site, inspired by Bo Sanchez‘ TrulyRichClub. Joining the TrulyRichClub is a life-changing decision for me, and I’m making it a personal advocacy to invite more people to join the club. Membership in the club is a continuous learning experience, and I am happily learning how to win in all areas of my life: financially, professionally, physically, emotionally and spiritually. I now look at the world and find blessings all over, and I appreciate everything that I have and find everyday. I’m a proud member of the TrulyRichClub, happily married to my beautiful wife Mary Ann and blessed with two sons (Luke of Ateneo and the John of UP Diliman ). I take great pride in being “Iskolar ng Bayan” all the way, learning from my beloved schools Ladislao Diwa Elementary School, then Cavite National High School (graduated 1977) and finally from UP Diliman (where I graduated BS Math). Mary Ann, Luke and John are all BS Computer Science majors, so I guess that makes us all techno-geeks. That’s my picture up there, holding two lobsters. I’ve been travelling for 30 years, but last year was the first time I’ve actually seen and eaten lobsters with claws. We have a comfortable life, but no, we are NOT yet financially “rich”, but I expect to be, by age 65 or so. 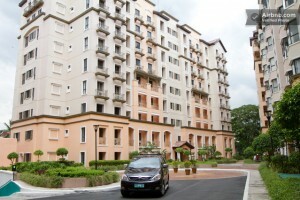 I love living with my wife, sons and my in-laws in Marikina and I am lucky to live rent-free in my father-in-laws’ home. I am the head-of-the-family for an extended household of 10 people, drive a tiny Toyota Avanza, use an old laptop, and own no gadget. We have no jewelry, and I do not even have a wristwatch ( with cellphones and laptops, who needs watches? ). We earn enough to give a little to the Lord, save a little, pay our bills, occasionally help close friends and family. We had the foresight to prioritize our expenses and get college plans for Luke and John, so PhilamLife is helping with our college tuition expenses. But Is Bobet Prudente TrulyRich? Yes! Being TrulyRich means winning in all areas of your life: family, relationships, health, profession. My weekends are reserved for family ( lakwatsa, watching movies, helping with assignments, etc ). We enjoy tutoring the kids. Last year, I had a blast teaching Luke about permutations, combinations, conguences and the Chinese Remainder Theorem. This year, the “hot” math topic is calculus including quadric surfaces and conic sections ( ??!#? ) for John. Mary Ann is the Java and Python tutor and is their primary resource for computer programming. For nine years I was the Country Manager for the Philippines for the world’s leading provider of Information Optimization solutions, and solutions for business analytics and big data. But today, I am a Senior Marketing Director for the IMG TrulyRichMakers team. I love it! We teach people financial literacy and we do it with passion! Helping people understand money to save and invest is such a rewarding experience, we believe it is our mission in life! 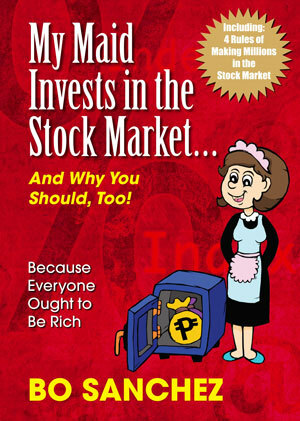 I have been successfully investing in the stock market since 1994, doing things by “gut feel” without ever learning stock market technical analysis. I thought I was pretty good at it though, but realized that successful investing in the stock market was very stressful. I joined the TrulyRichClub and learned that the path to riches need not be stressful. I learned to do stress-free stock investing ( and now I get better returns too ) and enjoying live more. Mary Ann and I dabble in tiny entrepreneurial ventures in our spare time. We are Internet pioneers and we do have many small websites that steadily bring in modest passive income even while we are on vacation. We convinced family and friends to invest in condos-for-rent, and last year we commissioned our second worry-free vacation-for-rent condo guided by the teachings of our TrulyRichClub mentors. One advise that I got from Robert Kiyosaki‘s Rich Dad, Poor Dad ( and also from my mentors Bo Sanchez and Larry Gamboa ) is that one should make friends with good and rich people, because in the long run, one will be earning the average earnings of his closest friends. Well, I love my friends, and have no intention of changing friends. So instead of just looking for rich friends to mentor me, I am actively courting my friends (present friends and long lost friends) to join the TrulyRichClub, and Truly Rich Makers too, so we can learn and grow rich together. In the spirit of full disclosure though, I’d like to tell you that if you join the TrulyRichClub through one of the links on this site, I will be getting what is called affiliate revenue, equivalent of 20% what you will pay in membership fees to the TrulyRichClub. BUT, I’m giving the affiliate revenue back to the Lord, so my personal benefit is simply knowing that every single friend I recruit will reap priceless benefits from the Club. Here’s to making this journey to True Riches together!! !